I really don't see Dean's real father letting this go, it's so blatant. bb1 wrote: He accidentally dropped the weapon down a drain after the accidental stabbing, Tony, befoe he went to bed. Why isn't he in custody then? You don't go hiding the weapon of death unless, you yourself, has something to hide. Collecting evidence, I would think, Tony - the Guarda will be only too aware of the background to all this, and will want to make sure every 'i' is dotted and every 't' crossed? bb1 wrote: Collecting evidence, I would think, Tony - the Guarda will be only too aware of the background to all this, and will want to make sure every 'i' is dotted and every 't' crossed? The mother now has lost two children whilst with this man. Why the hell is she still with the guy? Not looking good for Dave. The DPP don't get involved unless there is something to go on. And it is outrageous to go ahead and organise a funeral without consulting the boy's father. Which obviously Our Audrey didn't. I am gobsmacked by the sheer nerve of it. Dean was actually living with his father, not his mother and the man who stabbed him. This stinks of incredibly bad taste and and absolutely no self awareness. And that's looking on the good side. I know Irish law is a joke, kill someone you are let out to walk the streets while your file is sent to the DPP. Similar to the UK, Anita, it's not unusual for suspects to be free temporarily. "A man who was allowed out on bail on a charge of armed robbery earlier this year was subsequently arrested and charged with a more serious robbery. So-called 'Baby-faced' killer Brian Willoughby, was out on bail for a string of violent crimes - including knifing a man who subsequently lost an eye. That incident happened just weeks before he murdered Brian Mulvaney (19), in Templeogue in 2000 by stomping on his head while chanting "this is carnage". * Knifing a a man, whom he believed to be a homosexual, on College Green on February 10, 1998. In a frenzied attack the victim suffered several wounds to his face, neck and hands and has lost the sight of an eye and the use of his right thumb as a result. * Inflicting dozens of cuts with a knife on a man at Lower Baggot Street in another frenzied and unprovoked attack on January 17, 1998. * Sticking a broken bottle in the face of a student on a No 15 bus in Fleet Street on October 17, 1997. Another charge of assaulting a young man was also before the District Court awaiting the outcome of the Circuit court cases." The mum of missing teenager Amy Fitzpatrick last night sat with her partner Dave Mahon and said she forgave him — just days after he was quizzed over her son’s knife death. “I love him and I hate him,” a devastated Audrey Fitzpatrick told The Star — as she sat beside an emotional Mr Mahon. Just like that! Seriously, how COULD she? I've been having a think. She loses a daughter in Spain, having refused to let Amy go back to Ireland to see her father. Was she afraid of what Amy might tell her father? She loses a son to a knife in the hands of her drunken partner who was also present when her daughter was being neglected and eventually vanished altogether. She forgives her partner who killed her son. And then to top it all, she arranges a funeral, and a burial in her family grave, and all without consulting the father of her son. Those two seriously ought to STFU. Their story doesn't make sense. Why did Dave leave and go to his father's house at that time of night when he lived with Audrey? Why was Dave blissfully unaware that Dean had been mortally injured since the knife must have been in his hand when Dean was stabbed? How did he managed to walk past a mortally injured Dean, who left the appartment first? How did the knife finish up down a drain when Dave was the last one to handle it? That is a mighty interesting accident. Which begs the question, how does she know Dean was so unexpectedly reunited with his sister courtesy of Good Old Dave? Yes, those two really would be well advised to STFU and get a good lawyer; I suspect they're going to need one. Did you know that according to Audrey's book, she spoke to Amy on the phone after midnight on New Year's Day? So Amy must have been at home because this is where her Cell Phone was found, and where the Land Line obviously was. Also, Amy is known to have left her friend's house well before midnight. So either Amy ran away from home, or something happened to her at home. Or Audrey is lying. And why would she do that? There is an elephant in the room here, if you ask me. I hadn't followed the ins and outs of it, Sabot, beyond being none too convinced by that pair. Stepfather + young girl being neglected and later 'vanishing' = a sadly all too familiar story. The only thing that made me think I was maybe being too cynical was that Amy's mother seemed convinced something different had happened, I couldn't see her covering up some squalid domestic issue. Now, having seen her all cosy-cosy and forgiving with that thug after he's just 'accidentally' killed her son - well, I think I had good reason to be cynical. Then there was this whole business of Auds'n'Dave trying to drown out anything which didn't show them in a good light - remember them fighting with Amy's real father on 3A all those years ago? Poor man, he must be heartbroken. Like you, I hope Amy ran away from the pair of them and never looked back. I have a bad feeling that isn't what happened, though. I hadn't followed it all that closely either, Bonny. But the information about Audrey's phone call to Amy is in Audrey's Book, written by Audrey. And Amy's Cell Phone was definitely found on Amy's bed. There was some talk about Amy's Cell Phone being out of charge, but that could have been due to sitting on her bed under a pile of clothes for three days, during which Aud n Dave didn't realise she was missing. I think Audrey might have made a big mistake here. Or, whoever Amy ran off with said to leave the phone because she wouldn't need it, and nor could she be tracked by it. So if I was Amy's mother, I would not be thinking she was dead, unless I knew otherwise and needed to spend the remaining Fund Money. 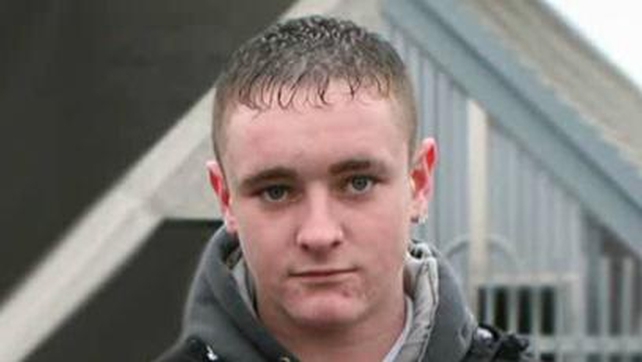 The High Court has ordered the body of Dean Fitzpatrick be released to his partner, Sarah O'Rourke. The decision was made following a dispute between his parents over where he should be buried. Mr Justice Nicholas Kearns said it was appropriate that given the dispute between his parents his body should be released to his common law partner and mother of his child. Ms O’Rourke wept in the witness box as she gave an undertaking to the High Court that everyone would be respected in the funeral arrangements. The funeral of the 23-year-old had been delayed because of a dispute over the burial arrangements within his extended family. His father, Christopher Fitzpatrick, earlier this week contacted the office of Dublin City Coroner Dr Brian Farrell to ask it to delay the release of his son's remains. Mr Fitzpatrick, who has been estranged for many years from Audrey Fitzpatrick, mother of Dean, wanted his son buried in a new plot, while Mrs Fitzpatrick wanted him buried in a plot connected to her family. The funeral mass had been scheduled to take place this morning at St Brendan's Church in Coolock with burial at Fingal Cemetery. Originally from Donaghmede, Dean Fitzpatrick was fatally stabbed during a scuffle in an apartment at Northern Cross, Malahide Road, shortly before 11.30pm last Saturday. I hope Mahon hasn't the gall to turn up - if he isn't in a cell, that is. The phone business was one of the giveaways in Tia Sharpe's murder, as I recall? Because no teenager leaves home without their cellphone? A supposed Phone Call was also the give away in The Jeremy Bamber Case. It's called. "Over Egging the Pudding." I would like to know at what time Aud n Dave arrived at The Bar where they celebrated New Year. There are two hours between 10pm and Midnight, after which Audrey apparently spoke to Amy. And then three days before they reported Amy missing. In a way, I hope it doesn't, because that may well mean Amy didn't just run away from the pair of them...but on the other hand, it might bring this farce to an end. I was disgusted to see one of the Justice mods praising Aud'n'Dave, incidentally - do they think that living semi-rough was some kind of 'lifestyle choice' for Amy? If ever a child was neglected, it was her. Why would the Spanish police have waited so long to arrest him over noise the previous Xmas? It might expose what was going on in that house in Spain, although I somewhat doubt it with Dean now dead. But The Irish Police might take an interest. The Spanish Police don't seem all that keen to investigate foreigners, unless it is cut and dried. But FFS, Amy was supposedly missing for three days before Audrey reported it. How much time do you need to dispose of a body if The McCanns could do it in two hours? You'd better stick a 'supposedly' in there, Sabot, or the forkers will think you've revealed a Big Secret. Well, really, Bonny. The Forkers insist that The McCanns done it in two hours, while Aud n Dave had three days. Three effing days? Sorry. I amended my previous post. Yes, Aud seems to have decided her daughter is dead remarkably quickly, doesn't she? Mind you, she doesn't seem one to dwell on the past. Look how quickly she forgave Dave for quite undeniably killing her son - 24 hours, wasn't it? Logically, Amy should have a much better chance of being alive than other missing children, as there is, in theory, every chance she ran away of her own accord and she was used to fending for herself thanks to Aud'n'Dave's 'care'. So it's a bit odd for Aud to get started with the Memorial Gardens, etc., so soon. Ah well, it will all come out in the wash.
Yer, And quite possibly so will Amy. I do try desperately hard not to hope for the wrong reason, like comeuppance. And only for the survival of a child. My sister ran away from home when she was barely sixteen because she couldn't cope with the abuse anymore. Me? I stuck around because I wasn't very brave and didn't know what else to do. And I actually felt sorry for the abusive old cow. So I can well see why Dean didn't say anything.. Neither my sister or I spoke about the abuse for many a long year, not even to each other.